Nowadays all over the world, demand for animal products is rising very fast. By 2050, consumption of meat and dairy products is expected to have risen 76 per cent and 65 per cent respectively against a 2005–07 baseline 1. This steady growth of meat consumption cannot occur without having an impact on ecology and particularly on climate. In the Russian Federation, as a result of higher consumer’s income, meat consumption has been on the rise since the late 1990s. From 2005–2010, the per capita consumption of all meats and meat products increased by 22 percent to reach 64 kg per person per year. 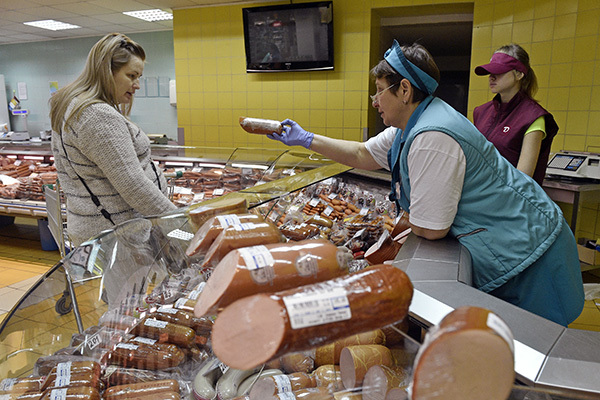 The Russian Government, in its Strategy of Livestock Production Development in the Russian Federation until 2020, forecasts that the total production of all types of meat will reach 9.6 million tons and domestic consumption will increase to 9.9 million tons by 2020 5. This increase of meat consumption and in turn of meat production indicates that people in Russia tend to devote a higher proportion of their income to these products. Moreover, because of growing urbanization, food consumption patterns are being modified so that people prefer to eat out of home more frequently and to purchase larger quantities of fast and convenient food which usually consist of meat products. This fact of growing meat consumption would not be so dramatic and could indicate a good economic situation in the country if the dire consequences for Russian people and the ecological situation all over the world are not taken into consideration. I do not want to discuss now well-known reasons why meat and dairy products could be dangerous for the human health (e.g. because of drugs/hormones, fat and cholesterol, residues of pesticides/chemicals from fertilizers/PCBs, parasites and bacteria in meat). But I would like to draw your attention to another issue concerning the influence of livestock on climate change. Today human consumption of meat and dairy products is a major driver of climate change. Greenhouse gas (GHG) emissions associated with their production are estimated to account for over 14.5 percent of the global total 6. The principal sources of these emissions are often manure and fertilizers used in the production of feed crops which are commonly used in Russia. Another reason which links the meat consumption with climate change is the increase of demand for high protein, making Russia increasingly dependent on genetically modified soybeans. Non-GM soybean is cultivated in Russia, but this amount is not enough to feed the cattle, requiring Russia to import soybean from other countries where it is usually genetically modified. For example, basing on FAOSTAT data, the import of soybeans in Russia was already 40 927 tones in 2000 and this figure grows constantly every year. The main problem is that Russia continues to be the world’s leading importer of GM soybeans especially from Latin America. There almost all of GM crops are processed with one or more chemical pesticides. Such a chemically-based agriculture is a major contributor to climate change, producing over 20% of greenhouse gas emissions. Moreover, in countries of Latin America (e.g. Paraguay) many forests are being cleared in order to establish new cattle ranches and, especially, to plant GM soybeans. Such high deforestation rates contribute significantly to the carbon emissions that cause climate change as well. Thus, by supporting the production of GM crops, Russia indirectly contributes to climate change 2,3,4. So now the most difficult challenge in dealing with climate change is how to reduce emissions from food production. In my opinion, possible interventions to reduce emissions should be based on technologies and practices that improve production efficiency at animal and herd levels. They may include the use of better quality feed (Non GMO feed) and feed balancing to lower enteric and manure emissions. Russian agricultural sector should reduce fertilizer use and minimize import of GM feed crop and meat from Latin America. However, all these actions alone cannot be effective without a change in human behavior towards meat and dairy products. Balancing the diet by reducing consumption of meat and dairy products and by eating more pulses, fruit and vegetables is a major step towards reduction of GHG emissions. This approach is not a radical vegetarian argument; it is just an argument about eating meat in sensible amounts as part of healthy, balanced diets. Such diet is not only helpful in the climate issue but also in reduction of incidences of meat related illnesses like heart disease. This improvement of food education is an important action to encourage healthy eating habits and environmental sustainability which should be considered on individual, social and governmental levels. McFerron W. Russian Soybean Meal Demand Seen Rising on Poultry Growth. 2013. Prikhodko D, Davleyev A. Russian Federation. Meat sector review. FAO. Rome, 2014. The Food and Agriculture Organization (FAO). Key facts and findings.